Please mention the initials you want in "notes" during checkout. 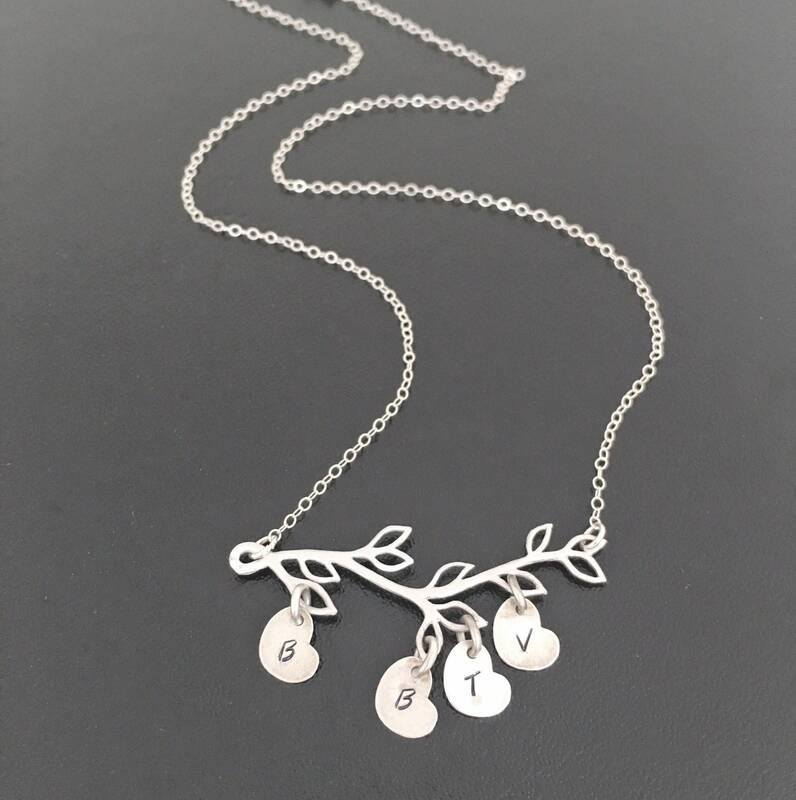 Personalize your family tree necklace with initials of your children, grandchildren, spouse, parents, grandparents, aunt, uncle, nieces and nephews up to 9 initial charms. Makes a great gift for mom, daughter, grandma, sister or aunt. I can also do a "couple stamping" on your initial charms such as D&B or K+J. I can do a couple stamping on a round disc or a heart charm. Please let me know your preferences in "notes to seller" during checkout for all of your initials. 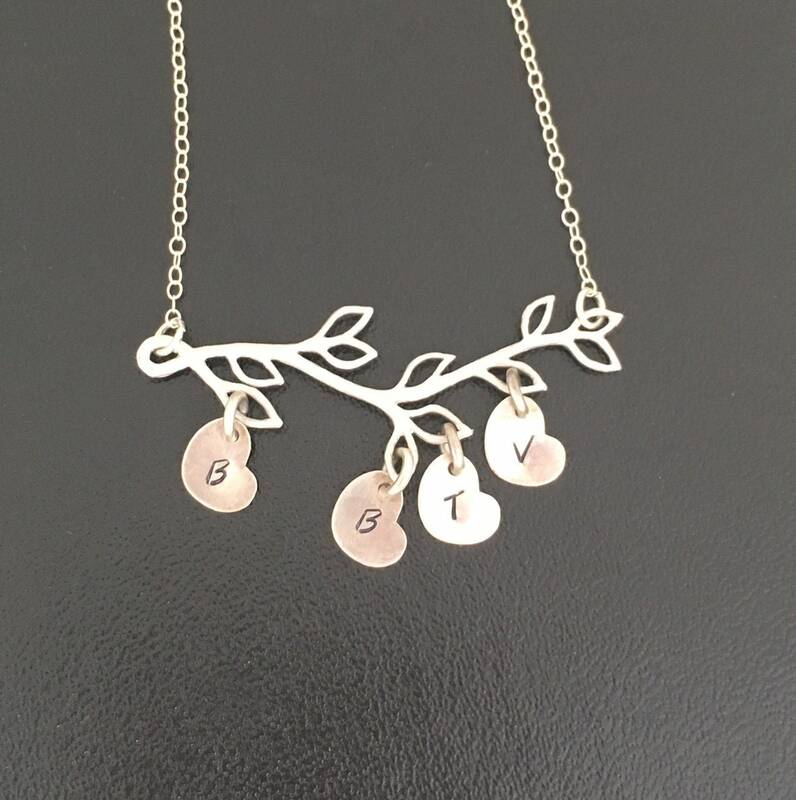 Select chain from the following finishes; 14k gold filled to be paired with a gold plated branch, and 14k gold filled initial charms-- or select sterling silver chain to be paired with a silver plated branch, and sterling silver initial charms. Regular size is 17". Please let me know in the "notes to seller" if you would like to change it to 15", 16",18",19" or 20". 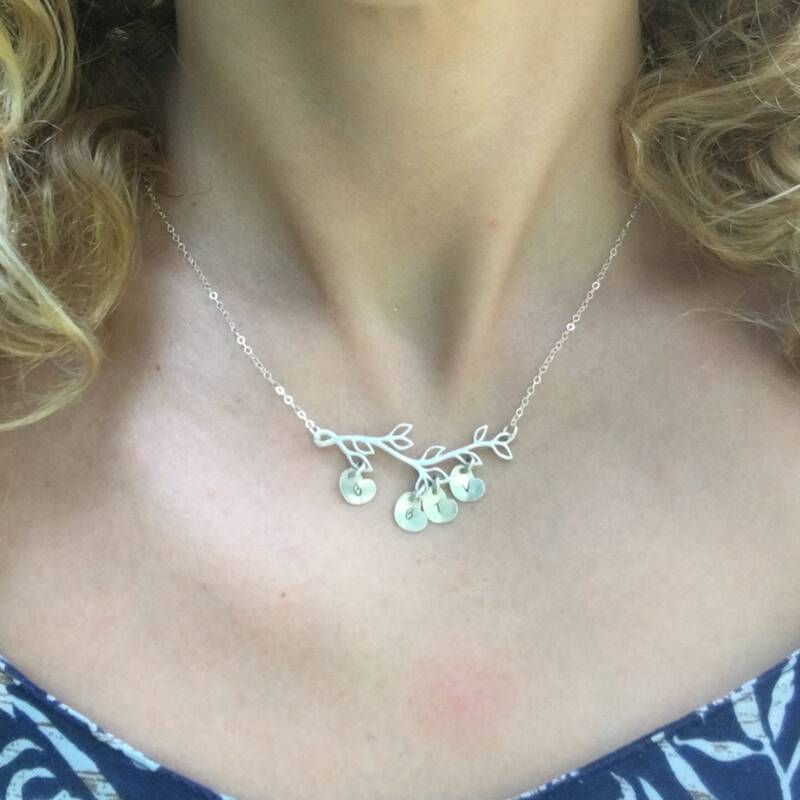 Dress up your Jewelry™ - remember to include the initials you want in "notes to seller" during checkout.